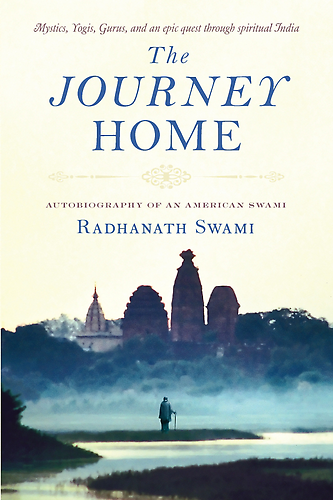 Question to Radhanath Swami: Lord Krishna speaks of different paths of yoga in the Bhagavad Gita. It is confusing… where does he intend to lead us to? 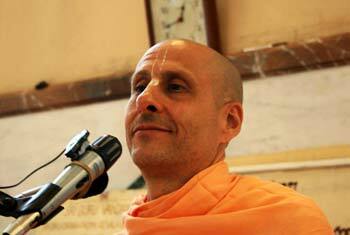 Radhanath Swami: Lord Krishna has given different types of yoga systems to bring us all to the stage of perfection. 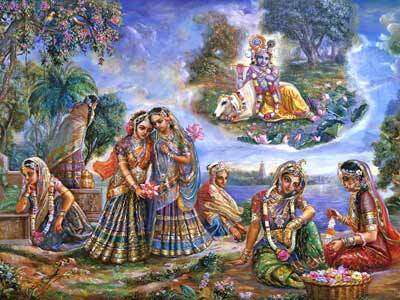 So the ultimate conclusion of karma yoga is do everything as an offering to the Lord. 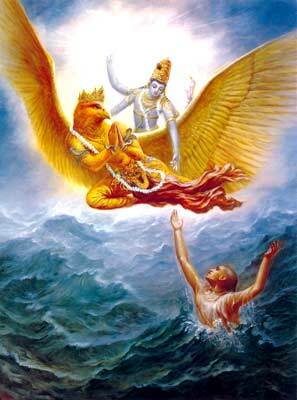 Thus, jnana yoga in its perfectional state brings one to surrender unto Krishna. The Bhagavad Gita teaches the harmony of all the other yoga systems with the ultimate goal – surrender to Krishna, known as Bhakti Yoga. Anyone who understands the Bhagavad Gita as it is can see how the other processes of yoga are simply parts and parcels of Bhakti and how they lead the practitioner towards the same. Those who do not understand the Bhagavad Gita as it is, however, have a less developed comprehension of its philosophy. They separate the different yoga systems thinking that each is in of itself sufficient to lead one to the same goal. Therefore their philosophy is yato mata tato patha – one can choose the path of his choice. However, Krishna presents the different yoga systems to convince Arjuna to surrender unto Him, remember Him, and do everything for Him. This principle is the continuous thread of the Gita and all other teachings are like pearls strung around this thread. It is just like arithmetic and calculus are different divisions of the same subject – mathematics. A young child studying in primary school may see arithmetic and calculus as separate but a Ph.D. in the subject will see that they are intertwined and developed for the single purpose of acquiring a degree in mathematics. Basic arithmetic is meant to bring the student to higher and higher aspects of mathematics but they are all parts of the same system. Similarly, those who have a clear understanding of the Bhagavad Gita can see the whole picture of the Gita, whereas a person whose understanding is less developed will see each part isolated from the rest.